Yes, I am packing it in and taking down the shingle. The point was reached a couple days ago but I wanted to finish up the mini-reviews of the kings of Portugal just in case anyone was interested and then do one last post to let everyone know what is happening so as not to just go silent. There are some issues that I have to deal with, some problems that need sorting out and trying to do so online clearly has not been helpful. Likewise, for some time, there are some who have been urging me to direct my energies toward other projects which, I am assured, will be more beneficial for myself and more productive in terms of their goals which are more political and nation-specific than what I have been doing here. I do not know how that will work out but, at the very least, I do expect it to be more simple and straightforward with everyone pulling in the same direction and with some people I know who will have my back regardless of the circumstances. In terms of what I will be doing, it will probably be more behind the scenes though I doubt anyone here will ever come across it in any event. I do not like to see this end, if for no other reason than the amount of time I have put into it. The better part of a decade and currently with a consistent 3,500 readers, give or take, every day is, in my book, nothing to sneeze at for what is a very niche and non-mainstream topic. Obviously, not everyone is impressed and I am told I will be able to have a much bigger impact in other fields but it will not be the same as this blog was, from start to finish, entirely my own, my effort to carry on independently after the respectable monarchists showed me the door. It will always be my baby and I will keep it up for now, I may come back to it at some point depending on how things go elsewhere. For now anyway, I have to pack it in. I have some big things to figure out and some big decisions to make about going forward. To the one I shall not name who left the un-posted comment, I thank you for your sentiments, your words count more than most in my book and if you feel like discussing the issue in question further you can leave another message with your email address if you would like. If not, know that I do it appreciate your support and we'll leave it at that. And, thank you to all of you who are regular readers. Many have come and gone over the years but I do know a few who have stuck around almost from the very beginning. I do appreciate it, I am very grateful for it and sorry for disappointing. King João IV: Known as “the Restorer” led the war for independence from Spain which started when the upper and middle classes united against the Spanish monarch in Portugal. With support from some other powers, the Portuguese were able to defeat the Spanish and João IV secured the Braganza dynasty on the throne. Once done, he set about on another war to recover the Portuguese territories overseas lost during the Habsburg reign. Not everything was recovered but it was remarkable, given the state Portugal was in, just how much in South America, Africa and Asia was recovered. A great patron of art & music, he was in every way a successful monarch. He restored his country, recovered lost territory and secured the succession for his line. All in all, a solid win. King Afonso IV: I have a soft spot for Afonso IV and a great deal of sympathy. The poor man hardly had a chance. Struck ill as an infant, his body became half paralyzed and his constitution very weak. It was also said that his mental capacities were diminished but, personally, I doubt that was entirely true. Anyway, he was disabled as a child and from then on the hits just kept coming. His brother Pedro had him declared incompetent, made himself regent, effectively stealing his crown, then stole his wife and had poor Afonso locked away until his death. It was a sad state of affairs and I can only feel sorry for him. Could he have reigned on his own? Maybe not, but it seems to me that he was not treated the way he deserved. King Pedro II: After replacing his mother as regent, shipping his brother off to the Azores and marrying his sister-in-law, a princess of the House of Savoy, Pedro II became king in his own right. He renewed the alliance with England, giving the English their first foothold in India with the marriage of Catherine of Braganza to King Charles II, he boosted industry, switched to the winning side in the War of Spanish Succession and was very important in the development of Brazil. Other than how he came to power, he was highly praiseworthy and wins back a bit of my approval for being a fairly accomplished bullfighter. An astute monarch with many accomplishments, I just wish he’d been kinder to his brother. Nonetheless, a talented man. King João V: It is not for nothing that João V is sometimes referred to as the Portuguese King Louis XIV and, like the “Grand Monarch” of France, it is impossible not to admire João V. He was lavish, ambitious, adept at statecraft and, more so than the “Sun King”, devoutly religious. He increased the state income but spent so much that there was no great increase in wealth but I give him a pass as he built grandiose monuments that are national treasures. He expanded the Portuguese empire abroad, earned the title of “Most Faithful Majesty” from the Pope for himself and his successors and ruled very much as an absolute monarch. He had enough children to secure the succession, had a care for the souls of his subjects and left Portugal more grand than he found it. An easy favorite. King Jose I: Unfortunately, things took a turn for the worse with Jose I. A man who loved music, hunting and women, especially fond of opera, he was rather less fond of governing and left that to the Marquess of Pombal who ushered in the “Enlightenment” to Portugal (Boo! Hiss!) and marked the change by expelling the Jesuits who had seemed such a permanent feature before. This obviously upset God as a massive earthquake hit Lisbon that was very damaging to the economy and left the king traumatized forever after. With a British assist, his forces did win a smashing victory over the invading Franco-Spanish armies but on the whole I view him as a less than admirable character whose reign was less than exemplary, bringing in many negative changes. Queen Maria I: Maria was the sort of monarch I am inclined to like, having a reputation for both piety and madness. She was a pretty great queen, sending Pombal packing with all his terrible, “progressive” ideas, and being very much opposed to his liberal, anti-clerical policies. Very religious, she became ever more so after the poor woman suffered a string of misfortunes and many finally believed she to be going mad, suffering from depression, though there may have been a physical illness to blame for her most severe symptoms. Declared unfit to rule, her son acted for her as regent and after a brave but futile fight, the invasion of Napoleonic France and Spain forced her into exile in Brazil where she finished her life. An unfortunate woman but a great one in my book anyway. King Pedro III: I cannot have very strong views about Pedro III as he was only technically the King of Portugal by virtue of being married to Queen Maria, which is fine, though he was also her uncle…which is disgusting. However, he seems to have been an alright guy. He took the side of the nobility against Pombal, also stuck up for the Jesuits, though the Pope suppressed them anyway, and generally just built stuff and did his own thing while his wife ran the show (as long as she was able anyway). They were happy enough as a couple and he did his job by fathering seven children so, good enough in that regard. He did what he was supposed to do. He was just a lot older than her and, well, her uncle, so it’s …just gross. King João VI: A big deal in Portuguese history, João VI certainly never had it easy but still left his mark. The French invaded and occupied his country so he had to fight them from Brazil, deal with rising expectations there and put up with a conspiratorial wife. When the Anglo-Portuguese forces drove the invaders out, he came home but then had to deal with rebellions by people who had a taste for French Revolutionary ideas now like “rights” and such nonsense, which João VI was having none of. So he had a great deal of trouble fighting those people, trying to put his country back to the way it had been but with a Brazil that had been elevated to co-equal status as a kingdom. His reign was one crisis after another but I say God bless João VI for always fighting the good fight. King Pedro IV: “Unique” is a word that can certainly describe Pedro IV as King of Portugal. Prior to taking that job, he led the war for independence in Brazil, which he secured. However, almost as soon as he became Emperor Pedro I of Brazil, he was proclaimed King Pedro IV of Portugal upon the death of his father, a job he did not particularly want, being quite attached to Brazil. He tried to abdicate the Portuguese throne but this was problematic due to the burgeoning feud between the constitutional and absolute monarchists. More a liberal absolutist than a constitutionalist, he was in an impossible position and finally had to abdicate in Brazil and go to Portugal to see out the fight, complicated by the ‘spill over’ of the First Carlist War in Spain. Queen Maria II: Born into a maelstrom, Maria II was a good woman stuck between a rock and a hard place. Named queen to take her father’s place as Portuguese monarch, she was the figurehead of the constitutionalist faction which was opposed by the absolutist faction led by her uncle Miguel, who was also her regent and who she was also supposed to marry. Yes, again, ‘yuck’. Civil war raged in Portugal but the liberals, backed by France and Britain, were victorious. Maria II married another prince, received the honor of a Golden Rose from the Pope. Born in Brazil, educated in France, her on-again, off-again reign was largely determined by actions beyond her control. Still, she seemed a good woman who did the best she could under the circumstances. King Miguel I: The champion of tradition to the reactionaries and a usurper to the liberals, as usual, both sides had a point. Miguel was convinced that the Portuguese were unready and unsuited for constitutional government and sure it would be a disaster. He was, in all honesty, rather deceitful in how he came to the throne and his civil war possibly prevented Portugal from regaining her largest and most important territory (Brazil), however, he also represented the last gasp of the grand, old Portugal of yesterday which tugs at the heartstrings. After being tossed out, coming back, fighting another round, the romantic reactionary was ultimately defeated and lived in rather destitute exile thereafter. A pity, as history would rather prove him right about the viability of liberalism. King Fernando II: Another king by marriage only, Fernando was from one of the multitudinous branches of the Saxe-Coburg family and was married to Maria II. As such he was related to Queen Victoria, Belgium’s King Leopold and the ill-fated Empress of Mexico. He was well-suited to be the standard bearer of constitutionalism alongside his wife. As he was responsible for her eleven pregnancies, he often oversaw things while she was incapacitated by impending motherhood. A fine enough fellow, intelligent, talented and all that, he was simply too “modern” for my taste. He represents dull, reliable practicality in my mind, in contrast to the ruinous but romantic King Miguel. King Pedro V: Such a tragic waste, Pedro V, for me, is the great “might have been” of Portuguese monarchs. He had so much potential and so many hopes resting on his young shoulders. He seemed the ideal sovereign; young, handsome, intelligent, diligent and dedicated. Even at a young age he went to work quickly to modernize the infrastructure of the country, improve communications and healthcare. Sadly, his beloved wife died of diphtheria and he later succumbed to cholera at the age of only 24. Beloved by the people, he had given the country hope that the fortunes of the nation would be revived. That was something and he did achieve much in his short reign but it only serves to tantalize the imagination as to how much more he could have done if he had had the chance to. King Luis I: The highly intelligent Luis might have been hailed as a Renaissance Man of sorts in another time. As it was, he had the misfortune to reign at a time when the problems of liberalism really began to take effect on the country. Feuding political factions stagnated the nation, bitterness and partisanship grew. Luis was inclined in the right direction but was not supposed to rule and busied himself with oceanography and his love of English literature. He was a cultured man, high in intellectual curiosity and a very good constitutional monarch. However, the fortunes of the country declined during his reign, the fault of the system itself rather than the King. When called to choose, he would choose the better option but, limited as he was, he could not do more. King Carlos I: The problems that festered under Luis I began to come to a boil under King Carlos. Portugal went bankrupt, then went bankrupt again and a public uproar was caused when the British seized the interior territories between Portuguese East and West Africa. King Carlos tended to be quite unfairly blamed for this due to his friendship with the British Royal Family. Well, they were Portugal’s oldest ally and if Portugal had tried to fight for the territory the results would’ve been disastrous. This unpopularity was seized upon by the republican faction and Carlos, along with his son and heir were murdered in 1908, setting off the last act of the Portuguese monarchy. Again, there was much to recommend Carlos I but there was little he could do to save the situation. 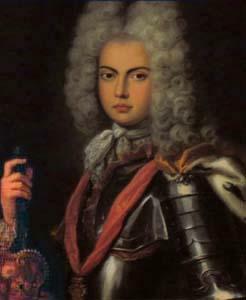 King Manuel II: Thrust upon the throne in the most difficult of circumstances, young Manuel II hardly had a chance to prove himself. Given the situation, he took a more active part in national life but discovered that the republican conspiracy was far more advanced than anyone had imagined. Bright, popular and devoted to his people and country, Manuel II came to ruin by way of practically an accident. A military revolt in 1910 seemed to have failed but the confusion of the situation allowed the revolutionaries to catch Manuel II helpless and seize power. The first republic was declared and Manuel went into exile, gallant to the last and always remaining devoted to his nation. It gave him no satisfaction that Portugal went to ruin under the republic that usurped him. King Felipe I: Felipe II of Spain claimed the throne as grandson of King Manuel I at the death of Henrique though it took a little longer (and an armed invasion) for the Portuguese government to accept him. He appointed a viceroy and let the Portuguese keep their own laws but the country was obliged to subordinate its own interests to those of Spain. A large part of the famous “Spanish Armada” that attacked England was Portuguese, for example. The worst part, however, was that the enemies of Spain now became the enemies of Portugal and it was open season on Portuguese ships and colonial outposts as far as England, France and the Netherlands were concerned. Felipe I was a good king but having him as king was not always good for Portugal. King Felipe II: Felipe III of Spain was a very good man but not a very strong one. Factionalism became a big problem and Portugal was increasingly being stripped to fund the wars fought by Spain in Europe. He was a very diligent, very religious man but bad economic decisions, made because of emergencies in Europe and to aid the wider cause of the House of Habsburg, began to have disastrous consequences for Spain and Portugal. Peace was made with the Dutch but not long after Felipe II intervened to bolster the cause of the Habsburgs in Germany which was perfectly natural for him to do but which really could have only ill-effects for Portugal. He was personally a good guy but a somewhat “hands-off” ruler so that he tends to be criticized more than he deserves. King Felipe III: Felipe IV of Spain was a little different as, while his two Spanish predecessors had not been terribly disliked in Portugal, Felipe III was. He was an able and energetic man and quite a good king for Spain all in all but Portugal was really hard hit by the enemies he made during this time. The English took Hormuz, the Dutch nabbed Ceylon, replaced Portugal in trade with Japan and seized a large part of northern Brazil. What was to become the Dutch East Indies was seized from Portugal in Southeast Asia. Some African holdings were lost though the losses in Brazil were eventually regained. This, combined with his efforts to make Portugal basically a Spanish province, caused the Portuguese to revolt, happily aided by other anti-Spanish powers. 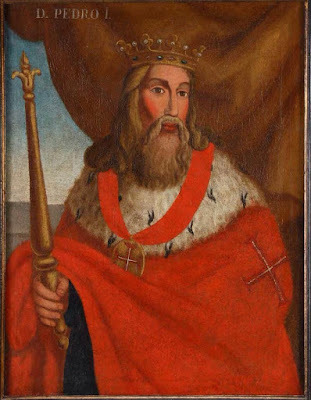 King João I: The illegitimate son of Pedro I, his seizure of power prevented Portugal being annexed by Castile in the wake of the chaos following the death of Fernando, the last of the original line of Portuguese kings. 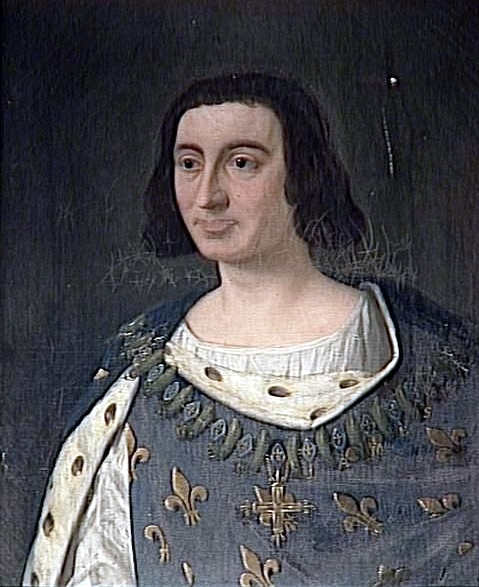 Grand Master of the Order of Aviz, he became King of Portugal and took the name of the Knights of Aviz for his own royal line. When French and Castilian troops invaded, King João and his English allies sent them packing. The Spanish withdrew and Portuguese independence was secured. He conquered Ceuta (in what is now Spain) from the Muslims in 1415, held it and told Prince Henry the Navigator to send ships to have a look around Africa. A successful monarch and renowned gentlemen, he set the scene for Portuguese greatness to follow. King Duarte I: A veteran of his father’s conquests on the Iberian Peninsula and North Africa, Duarte I commissioned Henry the Navigator to make further explorations of the African coast, and did his best to rule by consensus, frequently consulting the Cortes. However, his attack on Tangier, Morocco, led by his brother Henry, was a disaster, the Portuguese ultimately being outnumbered more than 10-to-1. His brother Fernando was given up as a hostage but the Cortes refused to surrender the territory the Muslims demanded to secure his release. King Duarte I died, heartbroken, in 1438 at only 46. He left chaos in his wake but he shouldn’t be judged too harshly. He was a scholarly and thoughtful monarch who would have likely done better had he been given more time. King Afonso V: Son of an ill-fated father and unpopular mother, Afonso was only 6 when he became King of Portugal but he eventually made quite a good job of it. After doing away with the regency and dealing with some rebellious elites, Afonso V went on campaign of conquest in Morocco. He supported the further exploration of the African coast while Prince Henry was alive but not after his death, being consumed by his battles in Morocco which earned him the nickname, “the African”. He was a warrior king who had little time for or interest in politics and administration, much preferring life in the field delivering the wrath of God upon the heathen hordes. He tried to gain the throne of Castile but found no joy, retiring to a monastery after. All in all, an impressive king. King João II: Having earned his spurs on the battlefield as a young man, João II came to the throne determined to close the gap left by his father who had been a great warrior king but a largely absent administrator. He despised corruption and favoritism, centralized power, cracking down on the nobles who had gained power while the king had been away in Africa. João II picked experts to oversee affairs, greatly pushed exploration, finding new lands and new resources, putting Portugal on more solid financial ground than any other European power. He clashed with Castile over ownership of the newly discovered lands in America but was regarded even by them as a great man. He was far-sighted and fully deserving of his reputation as one of the best monarchs of his time. King Manuel I: Coming to the throne in 1495, Manuel I continued the succession of great Portuguese monarchs. It is hard to separate him from the events of his reign as these were huge; Portugal discovered the sea route to India, Brazil was discovered and Portuguese superman Albuquerque seized the vital choke points giving Portugal control of all access to the Indian Ocean and a monopoly on trade with the Far East -epic win there. 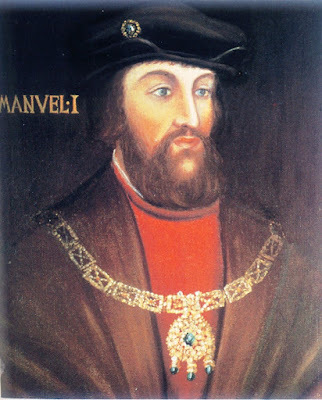 Manuel was an absolutist and very religious, spreading Christianity around the world and expelling all Jews who would not convert from the country. He made trade deals with China and Persia and put Portugal on the path to being the richest country in Europe and a global empire. All in all, Manuel I was seven kinds of awesome. King João III: The good times kept rolling with João III who basically reinforced the gains made in the reign of his father. He gave up fighting the Muslims for deserts in North Africa to focus on strengthening Portuguese footholds in Brazil and Asia but the wealth in trade caused infighting by officials and more competition from other powers. He also had to deal with the Turks but also made contact with Japan and gained Macau in China. Also devoutly religious, he established the Portuguese Inquisition, encouraged education and expanded the holdings in Africa from which the first slaves were imported to Brazil. He had a tough act to follow and maybe did not do quite as well but he had a lot to deal with so we should give the guy a break. He did good all things considered. King Sebastião: Coming to the throne young, Sebastião must have seemed like a fairy tale prince. He was tall, strong, blonde, known for his bravery and piety, just everything the ideal prince was supposed to be. As a minor, he had a regency and his actual reign was not very long but did see the expansion of Portuguese power in Africa, reform of the law code and advances in promoting social welfare. He wanted to get along with England, France and Germany and be a good Catholic. He wanted to launch a crusade against Morocco but Spain wouldn’t help. Young King Sebastião went on his own, charged into the Islamic horde and was killed in battle at only 24. Young, handsome, virtuous and brave, such a death was the finishing touch to a king tailor-made for legendary status. King Henrique: The death of Sebastião left no one but Henrique to succeed to the throne and, as this had never been expected, he had already joined the Church and risen to the rank of cardinal when called to assume the throne. As Archbishop of Lisbon and head of the Inquisition, he brought the Jesuits in and their missionary activity spread across the global Portuguese empire. He asked to be released from his vows to marry and produce and heir but King Felipe II of Spain, who wanted Portugal for himself, objected to this and so the Pope would not allow it. Cardinal Henrique did not live long enough to do very much and his death sparked off a crisis as to who would control the extensive and lucrative trade network that Portugal had established. King Antonio: The natural grandson of King Manuel, Antonio is not always listed among the ranks of Portuguese monarchs as he was more a claimant to the throne than an actual monarch. He set up his own court and was acclaimed by some but had little luck against the powerful Spanish army led by the Duke of Alba who came to secure control of the country for Felipe II of Spain. Forced to clear out with as much wealth as he could carry, he was recognized by France and England only as a way to bedevil the Spanish as I doubt anyone took him too seriously. He never really proved his claim and eventually died penniless in France. King Afonso I Henriques: Known as “the Conqueror” or “the Founder” or simply King Afonso the Great, this Portuguese born son of Henry of Burgundy, Count of Portugal, came up as a vassal of the Spanish King of Leon during the war to liberate the Iberian peninsula from the Moorish Islamic invaders. Afonso proved to be a great warrior and a formidable military leader. After the smashing victory at Ourique he was proclaimed the first King of Portugal in 1139. He married a daughter of the House of Savoy, proved adept at political maneuvering and switched the King of Leon for the Pope in Rome as his feudal overlord. Overall, a pretty great king to whom the existence of Portugal as a country is owed. King Sancho I: Although he is understandably often overshadowed by his father, the second Portuguese monarch was quite an accomplished guy. He took the country his father had created and made it work, giving it a proper administration, an economy, businesses and so on. He also stopped fighting with his fellow Christians and concentrated on the Moors to the south, which is always to be preferred. He built several new towns and was noted for his love of literature and attached great importance to education. This would pay large dividends later on. King Sancho also understood the importance of demographics and made sure to move people into unoccupied areas of the country to solidly their possession. Hence his nickname, “Sancho the Populator”. King Afonso II: Remembered for his rotundity, the third King of Portugal liked the peace and quiet. He made peace with both his Christian and Islamic neighbors and decided not to push to expand his kingdom further. His priorities were domestic and, unlike his two predecessors, was a bit of a control freak who worked to centralize power in his own hands. This put him at odds with his feudal overlord the Pope as the Church held considerable power in the country, leading to Afonso II being excommunicated by Pope Honorius III. He tried to repent but sadly died still shut out from the Church. On the whole, not a monarch who really accomplished a great deal. King Sancho II: After a king who was excommunicated, it is only fair to have one known as “the Pious”, though the Church authorities might dispute that. He had to agree to a long list of concessions to win back the good graces of the Pope but got high marks for shrugging off government to wage war on the Muslims, which he excelled at. Unfortunately, his absence meant he wasn’t around to protect the Church from the merchant class and they complained to the Pope who declared Sancho II a heretic and his throne to be free for the taking. His brother in France, another Afonso, joined with rebellious nobles in fighting a civil war against Sancho II, eventually forcing him across the border into Spain where he died in exile. King Afonso III: Put on the throne by Pope Innocent II, Afonso wanted to succeed where his brother failed so he focused on administration. He had his military successes to, most notably the conquest of the Algarve, adding that to his royal title but he also wanted to ensure domestic tranquility by having everyone share in the privileges and responsibilities of government. He gave the common people representation in government, fine, he taxed the merchant class, fine and he taxed the Church…which was not fine. In fact, it got him excommunicated, making two kings in a row and so upsetting him that he dropped dead at 68 after an otherwise successful reign. King Dinis: Brought to the throne at 18, he took care to make amends with the Church, even marrying a future saint, Elizabeth of Aragon, and he brought considerable prosperity to Portugal. Dinis expelled all foreigners from positions of power, made Portuguese the official language, encouraged education and greatly improved agriculture as well as tapping into what resources the country had to offer. Soon, he had such a surplus that Portugal had a booming export economy. He hired some Italians to start the Portuguese navy and he founded the Order of Christ, mostly from former Templars after their order had been suppressed. He centralized power, made Lisbon the capital and greatly furthered the country’s development. All in all, a very successful monarch. King Afonso IV: He had it rough, not being very well liked by his father and if there was one word to sum up the reign of Afonso IV it would be “drama”. Portugal was one long soap opera or novella in these years. There were civil wars between Afonso IV and his brothers, his daughter was married to a Spanish prince who cheated on her, leading to conflict there, his son wanted to marry his mistress but the King had her locked up in a convent, then when she was killed the crown prince started a rebellion against his father and this carried on until Afonso IV finally died. If you were writing a series of romance novels, your publisher would probably tell you to tone it down but truth is not only stranger than fiction, it can be more dramatic too. King Pedro I: The tragic, forbidden romance of Pedro and Ines and his subsequent rebellion against his father has made this king possibly the most visible in popular culture with numerous stories, songs, operas and so on all written about his rise to the throne. I really want to believe that he had Ines dug up and crowned queen alongside him but that may be just a legend. More people believe that he found the men who murdered his beloved and ripped out their hearts with his bare hands. Harsh, but fair. And that is not only my opinion as he has been known as both the “just” king and the “cruel” king. He also ensured that he would be buried facing his beloved Ines. What else of his reign? Who cares?! He was the great avenger of his true love and I think he was awesome, I hope all the stories are true. King Fernando I: The reign of the first Fernando was taken up with the Castilian succession war in which the kings of Aragon and Navarre, the English Duke of Lancaster and Fernando I of Portugal all claimed the throne of Castile. Fernando and the Duke of Lancaster made a deal to try to knock off the King of Castile but it didn’t work out. Later, they tried again but John of Gaunt (the duke) got on the King’s nerves and he broke his alliance and made a deal to marry his daughter to King Juan of Castile whose children would rule both countries. This didn’t happen though and the lack of a legitimate male heir brought an end to the Burgundy line of kings, an interregnum, some warfare and eventually a new dynasty to the Portuguese throne. It is inevitable that the great deeds of British submariners in the Second World War would be overlooked by most. Their fight was not as critical as that of the German u-boats in the Battle of the Atlantic nor as single-handedly successful as the American submarine campaign in the Pacific, however, it would be wrong to ignore it. The submarines of the Royal Navy played, if not a decisive factor, certainly an extremely significant one in the ultimate victory over the Axis powers, particularly Germany and Italy. The British are mostly known, because of the world wars, as being on the receiving end of submarine warfare rather than the ones waging it and, indeed, Britain would lead the way in anti-submarine warfare particularly during World War II. 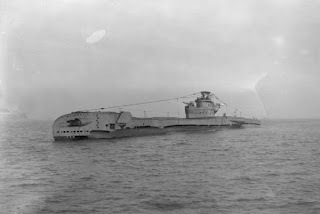 Nonetheless, while the convoy escorts braving the perilous North Atlantic crossing or the warships chasing down German or Italian battleships got most of the attention, the submarines of the King-Emperor went about their work silently severing the vital arteries that kept the Axis powers functioning and their armies on the advance. Great Britain began the war with a fleet of 57 submarines, the exact same number as the Germans. The Royal Navy produced quite a large number of different classes of boats but three would be most prominent; the S, T, and U-class boats of which the most famous is probably the T-class. Like the Italians, who had a very large submarine force, the British opted for reliability rather than innovation. For instance, like the Italians, they stuck to the old-fashioned impact fuse for their torpedoes rather than the more sophisticated magnetic fuses used by the Germans and Americans. This made them less effective but, unlike both Germany and America, Britain did not have to go through a period of having unreliable or totally faulty weapons while the bugs were worked out of this new technology. Rather, the British compensated for the weaker destructive power of the impact fuses (in which the brunt of the explosion is focused away from the target) by having boats that packed a larger punch than those of any other navy. British T-class submarines were built to fire an astonishing 10 torpedoes at a time which, British naval engineers reasoned, would more than make up for the drawbacks of their fuses as well as the less advanced targeting systems of British boats. If ten torpedoes are fired at a single target, one or more will almost have to hit it. When war broke out in 1939, British boats were deployed to Heligoland to patrol the waters off the southwest coast of Norway for German ships and u-boats. Unfortunately, this proved very dangerous even without the Germans as British submarines sometimes fired on each other, mistaking their submarines for German u-boats. 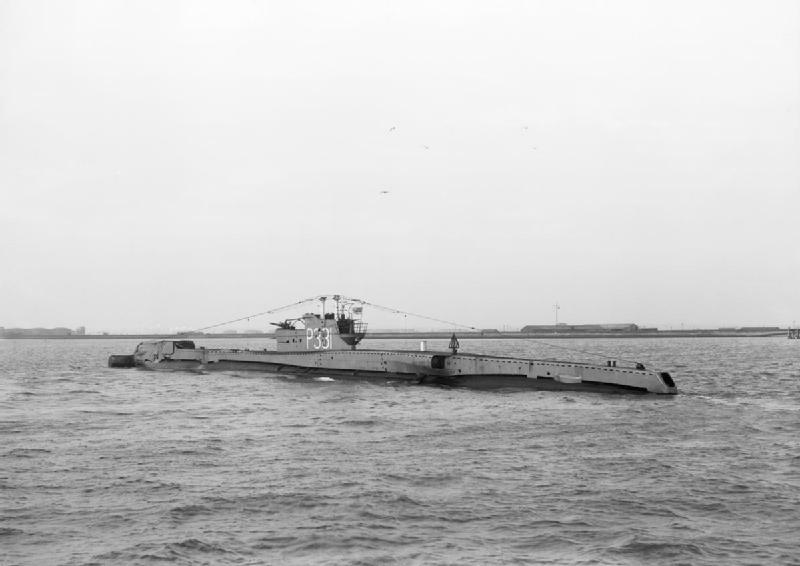 Likewise, even when in their designating hunting areas, British submarines were sometimes attacked by the RAF who mistook them for German u-boats. However, the British subs did finally score their first victories with successful attacks by two S-boats. 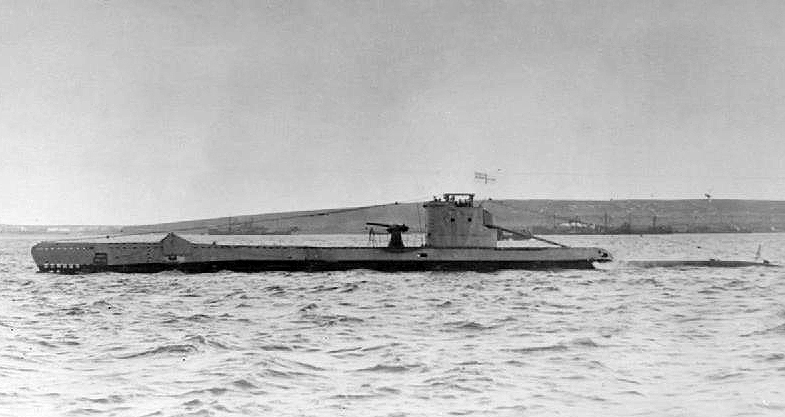 HMS Sturgeon sank a German ship in November and HMS Salmon sank a German u-boat two weeks later. 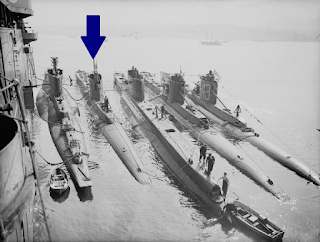 The British submarines would gain a high reputation for their ability to sink enemy submarines at a time when surface ships were still assumed to be their primary targets. The Royal Navy proved that the best weapon to use against a submarine is another submarine and that fact remains true to this day. By the time the war was over, British submarines would account for the loss of 39 Axis subs. 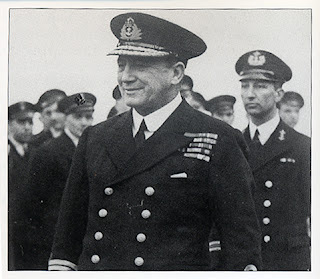 In January of 1940 the Brits would step up their game with the appointment of Vice Admiral Max Horton to command the Royal Navy submarine force. He was a living legend in the submarine community for his fantastic record of success in the Baltic as a submarine commander in World War I. After Britain sustained her first losses to enemy action, it was Horton who ordered British boats to stay out of the shallower waters where German underwater detection gear was less effective. Horton planned to use submarine planted mines to cut off the supply of raw materials coming out of Scandinavia to Germany, which would likely force Germany to invade Norway. As it happened, the Germans did invade Norway though not for that reason. Unfortunately, due to weather conditions and bureaucratic slowness, the Germans were able to slip past the British boats and land their forces before the Royal Navy could react. Nonetheless, the British subs did get a few powerful blows in. HMS Truant sunk the German cruiser Karlsruhe and HMS Sunfish sank a 7,000-ton freighter followed by another before the day was out. Unfortunately, even with 17 boats in the vicinity, the big game proved elusive. The prized German warships Gneisenau, Hipper and Scharnhorst all escaped attacked due to poor visibility and radio direction-finding by German shore installations which were able to direct their ships around areas where British submarines were on the prowl. This was a problem that would come up again later. There were other minor successes but the fact remains that the British submarine force had failed to stop the German invasion and the Royal Navy had been forced to rely only on the submarine force because of the effectiveness of the Luftwaffe in keeping the British surface fleet away. Likewise, operations off the North Sea coast during the German invasion of France and the Low Countries proved to be of little effect. Concentrating boats in these confined spaces had proved to be a mistake, due to the effectiveness of shore installations in homing in on their radio transmissions, the risk of “friendly fire” and the constant daylight in northern areas. Fortunately for Great Britain, much more success was to be found in the waters of the Mediterranean where British submarines would have their biggest impact on the war. The largest threat, obviously, was the powerful Italian navy and the extensive coverage over the Mediterranean by the Italian air force. However, due to the shortage of fuel and their industrial inability to keep up with any significant rate of attrition, the Italian surface navy would be forced to remain on the defensive. The first British submarine success in the Mediterranean was, due to confusion over their status, the sinking of a French sloop. 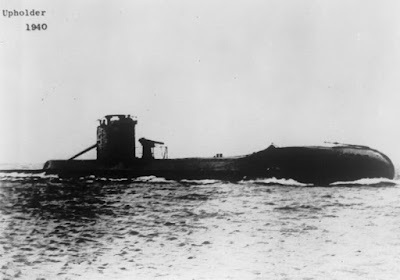 While screening a convoy, the submarine HMS Phoenix spotted the main Italian fleet, leading to a fairly significant engagement, but the Phoenix was then sunk by an Italian torpedo boat on July 16, 1940. On the final day of the month, HMS Oswald was sunk by an Italian destroyer off the coast of Messina. As the Germans had done in the North Sea, Italian shore installations used radio direction-finding to locate the British submarine and the Italian destroyers then moved in for the kill. Morale fell as British submarine losses continued and though successes did increase when the government in London authorized the use of unrestricted submarine warfare, the latter half of 1940 was fairly disastrous for the Royal Navy boats. While sinking less than 1% of Italian shipping to North Africa, Britain had lost nine submarines, five at the hands of the Italian navy and the rest to air attack or mines. At one point, Britain was reduced to only five operational boats in the Mediterranean. Clearly, something had to be done. Italian shipping losses had been extremely light in 1940, warships were not engaged and overall Italian superiority in the central Mediterranean had been maintained. It was a gloomy time as the British came to grips with the fact that, despite what Allied propaganda had told them, their enemy was a formidable one. However, the British did what they have traditionally done; learned from their mistakes and adapted. As with the Germans (or the Japanese for that matter), Italian underwater detection gear was not good. The British knew this and so finally came to appreciate that, other than aircraft, the primary way their boats were being located was by radio direction-finding. The British responded by ordering their subs to maintain radio silence unless communication was absolutely necessary. The British also ultimately adopted the practice of keeping their boats submerged throughout the daylight hours if at all possible, only surfacing at night. This reduced their mobility of course but also made them much less likely to be detected by lookouts on ship or shore or by patrolling Italian aircraft. The Admiralty also sent many more submarines to Malta such as 10 new U-class boats in early 1941. With a greater respect for their enemy, more care given to stealth and increased use of mines, British successes began to pick up. In February of 1941 HMS Upright attacked and sank the Italian cruiser Armando Diaz in a surface attack at night, the biggest victory British submarines had yet had in the Mediterranean. In March, HMS Rorqual laid a minefield, sent two freighters to the bottom and then sank the Italian submarine Capponi. 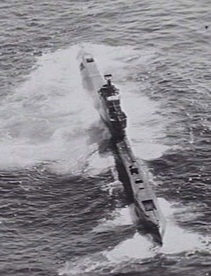 The same month, another British boat, the P31, made a successful attack on a large freighter using Asdic (sonar) alone, earning the commander the DSO. The following month also saw the beginning of a string of victories for the man who would be the most successful British submarine commander of World War II, Lt. Comm. Malcolm D. Wanklyn of HMS Upholder. He sank a freighter in April off Tunisia and two more on May 1, beginning what would be a very successful career, albeit a short one. Sadly, Wanklyn was killed in action in 1942 by the Italian navy but by that time had managed to sink 21 Axis vessels, earning the Victoria Cross. Because of men like him, things were turning around for the British war under the waves. In the first half of 1941 they managed to sink about 130,000 tons of Axis shipping while losing only two submarines, both to Italian minefields. Still, the rate of success was slow at less than two ships a month and of the shipping interdicted by the Allies, including the movement of Rommel’s Afrika Korps to Libya, less than 5% was lost to British submarines. However, the British were steadily improving and were aided by two significant events; the invasion of the Soviet Union, which meant the redeployment of enemy air forces and the breaking of Axis codes which allowed the British to have up to date information on Italian naval movements. The British also very cleverly took care to move aircraft into the area of Italian convoys before the submarines arrived to make their attack so that the Axis high command would assume the RAF had spotted their ships and not catch on to the fact that their codes had been broken. This allowed for more British submarines successes going forward. In September of 1941 the boats at Malta were organized into the Tenth Submarine Flotilla and the “Fighting Tenth” would prove the most successful British submarine force of the war, though also the one with the highest casualty rate. Having inside information on when and wear Italian supply convoys would be sailing, the British were able to post their submarines in picket lines in front of the enemy. In so doing, the British boats began to really bite into the Axis war effort, sinking four Italian troopships in a few weeks and badly damaging the new Italian battleship Vittoria Veneto which was attacked by HMS Urge and put out of action for over three months. In the second half of 1941 the British lost six submarines but received 13 new boats and in that time managed to take a significant toll on Axis shipping which was critical to the North African war effort. In the desert, logistics were paramount and when the supplies flowed, Rommel advanced; when they did not, the Italo-German forces fell back. The losses were serious enough to compel the Germans to dispatch some of their own u-boats to the Mediterranean, adding a new and dangerous foe for the British to deal with, proven when the U-81 managed to sink the only British aircraft carrier in the Mediterranean, HMS Ark Royal, in November. Moreover, German and Italian air attacks on Malta proved to be devastating, eventually wiping out the RAF defenders, forcing the withdrawal of many ships and damaging three submarines. 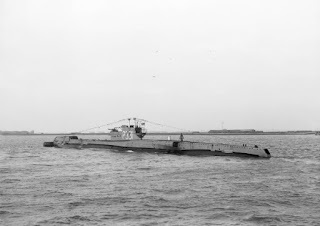 Nonetheless, the British boats continued to put up a terrific fight with HMS Upholder sinking the Italian submarine St Bon in January of 1942 and HMS Unbeaten sinking the German submarine U-374 not long after. 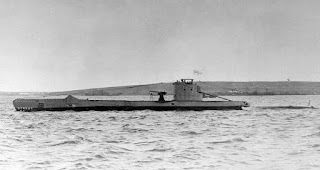 In March the Upholder sent another Italian submarine, the Tricheco, to the bottom off Brindisi. However, the Germans had developed better detection gear and shared this with the Italians to great effect. 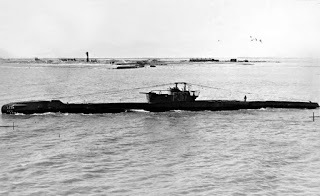 The Italian torpedo boat Circe took out two British submarines using the new gear. The Italians also made ever greater use of minefields and this, combined with the sinking of the British minesweepers, ultimately made Malta untenable as a naval base. The island was ripe for the picking, however, it was saved by German Field Marshal Rommel who convinced the high command to call off the invasion in favor of his attack into Egypt. At one point only 12 British boats were on hand in the area and the Royal Navy was more stretched than ever with the Empire of Japan now menacing the British Empire in the Far East. Many of the boats previously stationed in Malta had been transferred from Asia, which was now also under attack. Dogged determination proved effective though and despite the reduction in numbers in April of 1942, British submarines sank 117,000 tons of Axis shipping along with the Italian cruiser Bande Nere (sunk by HMS Urge), a destroyer and six Axis submarines. It amounted to only 6% of the materials being sent to Rommel in North Africa but, due to the withdrawal from Malta, was significantly more than what the RAF had managed to intercept. 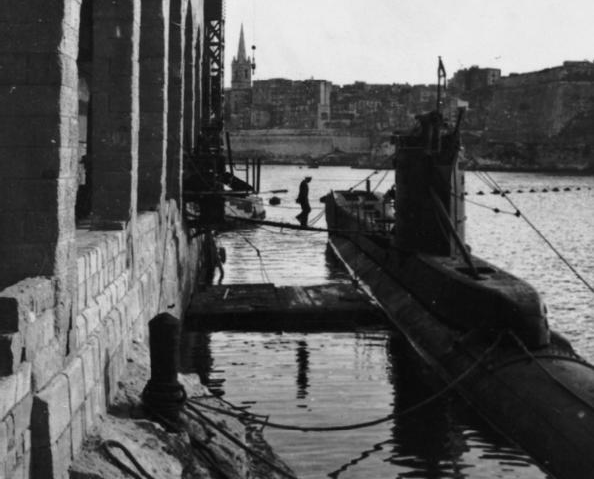 British submarines were also being used to carry cargo to keep Malta alive as Italian naval forces prevented much of the surface convoys from landing their supplies. To fight back against this, British submarines were dispatched to prowl outside the main anchorages of the Italian fleet, to attack when possible but also to warn the high command of when they were moving out. The result was a fierce fight for control of the Central Mediterranean with wins and losses for both sides. However, the need for Axis air power on the Russian front gave the British some breathing room and soon more and more Royal Navy subs were posted to the Mediterranean with new flotillas organized in Gibraltar and Beirut. The British war effort was also aided by the fact that the increasingly critical fuel shortages meant that the main Italian battlefield was forced to stay in port most of the time and this, combined with the determination of British air and naval forces, meant that Malta was able to be built back up and more Axis shipping to North Africa was sunk. In October of 1942, even while preparing for the invasion of French North Africa, British submarines still sank 12 enemy ships and one destroyer. When the Axis powers began moving men and supplies into Tunsia to counter the arrival of the Americans, British submarines accounted for 16 ships lost while the RAF took out even more. Their actions were making it ever more difficult for the Axis forces in North Africa to be maintained much less take offensive action. By 1943 the Gibraltar flotilla moved to Algeria, Allied air power dominated the Mediterranean and the Axis shipping lanes were devastated with British submarines accounting for 33 Axis ships. In early 1943 the subs destroyed more ships at sea than any other force, surpassed only by Allied aircraft whose successes included ships in port. Axis power was receding in the Mediterranean and the British boats were at the forefront of the naval victory thanks to men like Comm. J. W. Linton of HMS Turbulent who was killed in action after sinking 90,000 tons of enemy shipping and an Italian destroyer. He was posthumously awarded the Victoria Cross. Comm. George Hunt of HMS Ultor sank more Axis ships than any other British submarine commander at 30 for which he earned the DSO with bar twice. Comm. Ben Bryant was similarly decorated for sinking over 20 Axis vessels as well as numerous warships. With the capture of Sicily by the Allies, the naval war was practically over but, while outpaced by the air forces, Allied submarines, mostly British, accounted for roughly half of all Axis naval losses in the Mediterranean. Of course, though less extensive, the Royal Navy submarine force also saw plenty of action in the Far East though they were only able to really establish themselves from August 1943 onward. Based out of Ceylon, their primary area of operations was the strategic Malacca Straits. In November HMS Tally-ho sank a small tanker, the first victory of British subs in Asian waters, but a more significant success was the sinking of the Japanese submarine I-34 by HMS Taurus. By 1944 the Royal Navy was getting back up to strength in East Asia and more submarines were dispatched as well. In January of 1944 HMS Tally-ho, commanded expertly by Lt. Comm. L.W.A. Bennington, sank the Japanese cruiser Kuma and, despite operating in only 15 fathoms of water, managed to escape the counter-attack of its escorting destroyer. Toward the end of the war, targets became scarcer and the Japanese were forced to resort to the use of primitive sailing ships not worth the expenditure of a torpedo. So, British boats, like their American counterparts, began making greater use of their deck gun. East Asian operations were not as extensive but could still be intense. Lt. Comm. Anthony Collet of HMS Tactician saved a downed American pilot from the USS Saratoga despite being under enemy fire from shore batteries on Sabang and with a Japanese torpedo boat bearing down on them. For this act of heroism, Commander Collet was awarded the Legion of Merit from the United States. More British submarines were dispatched to the region and two new flotillas were organized. Their impact was not negligible and by late October 1944 the British subs had sunk 40,000 tons of merchant shipping, almost 100 small craft as well as a cruiser, three submarines and six smaller warships of the Imperial Japanese Navy. Not too bad. 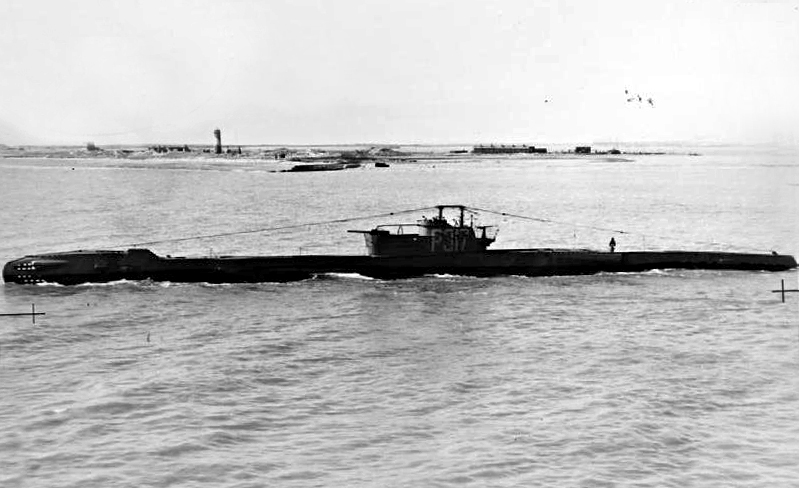 The smaller British subs were also able to operate in areas such as the Java Sea which were too shallow for the larger American boats. By March of 1945 all Japanese shipping in the Malacca Straits area had been virtually eliminated. In the build-up to the planned Allied assault on the Japanese home islands, British submarines at least 150 small craft but still managed to find some major enemy warships to target too. On June 8, 1945 Comm. A.R. Hezlet of HMS Trenchant spotted the Japanese cruiser Ashigara and fired a spread of eight torpedoes at 4,800 yards. Five hit home and the Ashigara went to the bottom. Perhaps the last really significant victory for the British was the attack on the Japanese heavy cruiser Takao at Singapore by the British mini-sub (XE-craft) XE-3 which earned her commander, Lt. Ian Edward Fraser, the Victoria Cross. The British submarines in East Asia performed very well and took a considerable toll on Japanese shipping while losing only three of their own boats in the process. They had also closed the Malacca Straits to Japanese shipping, choking off the supplies going to the Japanese forces confronting the British in Burma. Overall, the British submarine force made a significant contribution to the defeat of Germany, Italy and Japan. Early on, they suffered some serious losses and learned some hard lessons against the Germans in the North Sea and the Italians in the Mediterranean. However, they adapted and came roaring back, taking a considerable toll on Axis warships and plaguing the supply lines keeping Rommel and his Italo-German forces in the field in North Africa. One of, if not the most decisive factor in the successful British defense of Egypt was Rommel’s lack of sufficient fuel and supplies and the British submarine force played a major part in that. Once the Mediterranean was secure, Britain was able to focus on East Asia where not much had been left by the American submarine campaign (the most successful in history) and yet, there too, the British boats played a significant part in disrupting the Japanese lines of supply and taking out several major enemy warships. The Royal Navy impact on the surface might have been more significant, and they may not get as much attention as some others but the British submarine force earned a record in battle during World War II that they can be proud of, contributing to the tradition that would carry Britain forward to the present day. In the recent history of monarchism in France, one of the major problems was the persistent accusation of anti-Semitism. Once upon a time, such an accusation did not mean much as no one expected anyone in France to be pro-Semitic, only pro-French and so the accusation of being anti-Semitic would have been met with as much of a yawn as that of being anti-Anglo or anti-Teutonic. However, as anti-Semitism came to be seen as uniquely despicable, the accusation became much more problematic and it has been consistently applied against the Catholic right in France, most of which was, increasingly so the farther back one looks, royalist. The current narrative tends to stem from the infamous “Dreyfus Affair” in which a Jewish artillery officer was convicted of treason and sent to Devil’s Island in French Guiana for passing military secrets to Imperial Germany. Subsequent evidence came forward that another man had been the spy but, in a retrial, Dreyfus was again found guilty but given a pardon and released. In 1906 Dreyfus was exonerated and reinstated as a major in the French army. This case was the center of the great political divide in France with the left-wing, secularist republicans supporting Dreyfus and claiming that he had been the victim of anti-Semitic bigotry by the right-wing, Catholic and royalist officer corps of the French military. 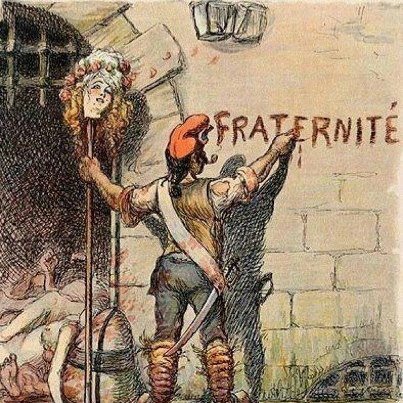 So, the leftist republicans claimed that Dreyfus was innocent, the rightist royalists claimed he was guilty and the eventual exoneration of Dreyfus is widely pointed to as the decisive factor in bringing the radical left to power in France. 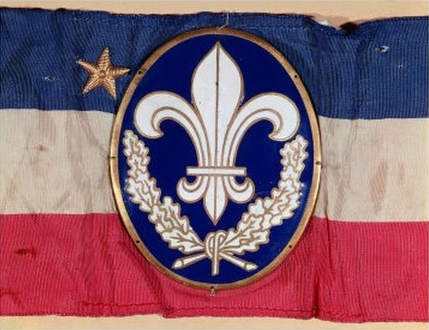 The division remained and one of the most effective rhetorical weapons used against the growing power of Action française, the royalist movement led by Charles Maurras, was the charge of anti-Semitism. Maurras himself had been prominent during the Dreyfus affair, referring to the French government as the “Jewish republic”. It was an accusation that fell equally on both of the feuding royalist factions in France (Maurras being a supporter of the Duke of Orleans) and, particularly in light of subsequent events in World War II, helped to marginalize the royalist movement. 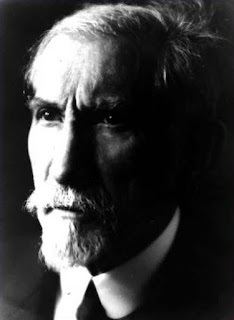 Maurras had plenty of criticism for the Jews, no doubt about it, however, while this is sufficient for the mainstream to condemn him today, any thoughtful person can easily see that there is more to the story. He had just as much negative things to say about French Protestants, the Germans or Freemasons, yet no one seems to mind any of that so much. He also condemned the racist policies of Adolf Hitler which serves to illustrate where his opposition to the Jews came from. The goal of Maurras was a restored Catholic Kingdom of France, though he himself appreciated the Church more than he believed in it, and the Jews, like the Protestants or any non-French people, were not what he wanted for his Kingdom of France as they would always be a source of division and internal discord. In 1926 the Catholic Church condemned Action française and its periodical even gained the distinction of being the first newspaper placed on the Index of Forbidden Works. Later, Pope Pius XII lifted the condemnation but this did little good as it allowed the members to claim that the previous prohibition had been politically motivated, simply opposition to a nationalist movement, while also allowing critics of Pius XII another bit of propaganda to portray him as being soft on anti-Semites (the ridiculous “Hitler’s Pope” canard). The efforts of Maurras were really the last time, to date, that a French royalist movement was a major force in politics and had the potential to achieve victory and bring about a restoration of the monarchy. It is a terrible thing that they were undercut and were not successful, however, the anti-Semitic label is still used against them to this day and while, again, it was not so significant in the past, today it is front and center in vilifying and marginalizing this French royalist movement. To the extent to which it is talked about at all today, the main points hammered home are Maurras and the French royalists are anti-Semitic, they are untouchable, move along. That being so, it is worth taking a deeper look into the history behind all of this, because the position of Maurras and the French royalists of the early Twentieth Century was not out of step with the cause their ancestors had upheld and fought for over the many centuries previous. The Kingdom of France was and had always been an officially and explicitly Catholic monarchy and thus, inherently, the Jews were never going to be seen, indeed could not be seen, as no different from everyone else. Some number of Jews had been present in France since the time of the Roman Empire. When the Roman Empire became Christian, Emperor Valentinian III put restrictions on them from holding any positions of influence but, it is often omitted, these restrictions applied to pagans as well. It was not a specifically anti-Jewish ordinance but rather part of a recognition that Rome was a Christian empire and non-Christians would not be allowed to rule over Christian people within it. This was the earliest example of the sort of problem that the Kingdom of France would have in dealing with the Jews. The barbarian tribes who conquered the Western Roman Empire took little notice of them but later they gained a sort of a special status under Charlemagne, elevated to the rank of emperor by the Pope in 800. They had some restrictions placed on them in so far as their interaction with Christians went, but Charlemagne protected them and they became quite prosperous as merchants and traders with the near east. Charlemagne, as well as his son Emperor Louis the Pious, believed that, in time, they would convert to Christianity though we know from the accounts of bishops at the time that there were concerns about their presence being at odds with the nature of a Catholic empire. Undoubtedly some will be wondering why the mere presence of Jews should be a cause of concern or disunity in the Kingdom of France (since 987 under the House of Capet) but this is to fail to grasp the entire concept of what France was. 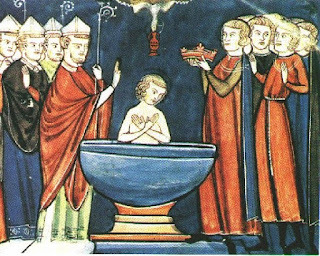 It was a specifically Catholic kingdom and to be French was to be Catholic and to be Catholic was to be in communion with the body of Christ, the Church, and all other Catholics everywhere. This was the foundation of the kingdom and the highest purpose of the Catholic monarchs was to safeguard the souls of their subjects by ensuring that they were all good Catholics. Obviously, with such a foundation, it is going to be a problem to have a majority of the population which is French and who believe Jesus Christ is God, alongside a minority of people who are not French and who believe Jesus Christ was a criminal deserving of death. That is a pretty stark contrast, not a lot of room for compromise between those two viewpoints. It would inevitably cause tension and problems when a French peasant would be subject to severe punishments for denying the divinity of Christ, whereas Jews were primarily differentiated solely for this same denial. King Robert II of France tried to solve this problem by trying to basically intimidate the Jews into conversion. He was also just as hard on heretical Christians if it matters as his goal was to have his kingdom united in one faith. The situation became worse over a correspondence between the Jews in the west with the Jews in the east concerning an upcoming Islamic offensive which resulted in the destruction of the Church of the Holy Sepulcher. This produced such a backlash against the Jewish population that Pope Alexander II wrote to the local Church authorities condemning any acts of violence and any efforts to convert the Jews by force. These were, however, localized events and Jews in the unaffected parts of France continued to thrive and prosper. An upsurge did come about with the launching of the Crusades and it is not difficult to understand some of the reasons why. It made little sense to a considerable number of people to be fighting so hard against a religion that considered Christ a prophet while tolerating at home another religion which considered Christ a criminal. In 1182 King Philip Augustus of France ordered the expulsion of all Jews from royal lands, allowing a grace period for them to sell the goods they could not take with them and make arrangements to move, though this did not remove them from the whole of France, simply from lands belonging to the Crown. However, in 1198, the same king allowed them to return. This would not be the last time this sort of thing would happen. Another growing concern was financial, a topic which invariably comes up in dealing with this subject. 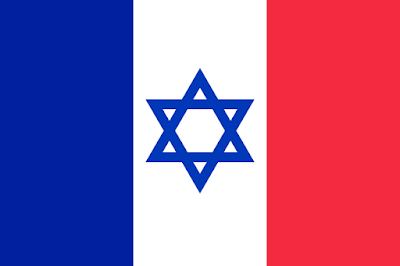 Jewish law prohibited Jews from charging interest on loans to other Jews whereas it was permissible to charge interest, even exorbitant interest, on loans to non-Jews (like French Catholics for example). At the same time, the Catholic Church tended to frown on money lending in general which all created the perfect conditions for Jews to loan money to Christians at very high interest rates and, let us be honest, even under the best of circumstances, no one who lends money is ever popular when the loan comes due. This not only caused tension between the two communities, it also highlighted the ‘different laws for different people’ nature of the situation as well as upsetting the stability of the French economy with so many in debt to so few. King St Louis IX of France determined to do something about this situation and, as a man devoted to having a truly Catholic kingdom, was compelled to address the Jews in France on a number of fronts. First of all, on the economic front, he tried to persuade the nobility of France to stop allowing Jews to loan money in their lands and he forbid the nobility and the Crown of France itself from borrowing money from Jews. Given the system of government that existed at the time, in which every lord was practically an autonomous ruler of his own lands, this was about all the king could do as, despite what many people think about the Middle Ages, the king could not tell a noble lord what he could or could not do on his own lands arbitrarily. He forgave the debts of about 1/3 of Christians who owed to Jews and decreed that no Christian could be imprisoned for failing to pay back a loan from a Jew. Finally, he ordered all Jews engaged in usury to be expelled from France though, it seems, this order was not entirely carried out, probably due, again, to the decentralized nature of countries at that time. Most controversially today, he also ordered the mass burning of all copies of the Talmud and Jewish holy books in Paris in 1243. This, of course, is a very prickly subject today because of “optics”. Because everything touching on this issue has been tainted by World War II, whenever people hear about Jews and Jewish books being burned they immediately start thinking of men in brown shirts with strains of the Horst Wessel Lied drifting through the air. So be it, that cannot be helped. The fact of the matter is that works such as the Talmud were contradictory, on their face, to the Christian foundations of the Kingdom of France. 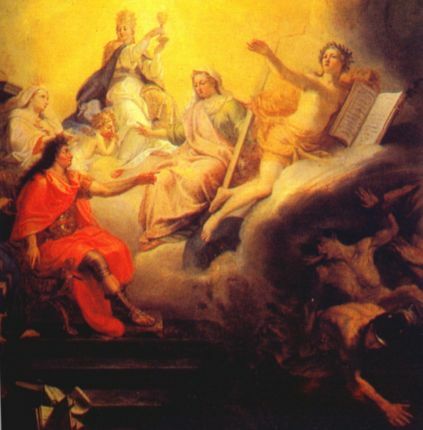 When your entire society is based on Christianity, on a sacred line of Christian monarchs ruling over a country known as the “Eldest Daughter” of the Catholic Church, there will be no getting around the problem of having a religious minority whose holy book describes Jesus Christ being boiled in excrement in Hell. There really is not a great deal of room for compromise or ‘agreeing to disagree’ on something like that. King St Louis IX considered having all the Jews arrested but ultimately decided against it, instead following the instructions of the Fourth Lateran Council of 1215 to have Jews wear badges on the front and back of their clothing to clearly mark them as a people apart. This also, today, has negative connotations but it was simply illustrating a fact which the Jews themselves clung to. They saw themselves as a people apart, not the same as everyone else and were adamant about remaining so. King St Louis IX was also a supporter of the efforts by the Church to maintain Catholic orthodoxy throughout Christendom. France was, in fact, to become “ground zero” for what would be formalized as the Holy Office of the Inquisition after the outbreak of the Albigensian heresy in the south of France and the formation of the Dominican Order to combat it. Jews were often brought before the French Inquisition though, as the Inquisition only had authority over Catholics, it was only in cases of Jews who had converted and were either insincere (false converts) or who apostatized and returned to Judaism. This comes to the nub of the issue which is one of identity. The Jews could have, at any time, converted to Catholicism and would have been treated the same as every other Catholic in France, however, if they refused to do so, choosing to remain separate, they had little room to complain about being treated differently. The problem that the Inquisition had to deal with (as it later would more famously in Spain) was that many Jews converted, not because they believed in the teachings of the Catholic Church, but in order to improve their standard of living. Today the Church might applaud them for that but, at the time, the faith was taken more seriously and basically lying about the most important question of all was seen as a heinous crime and so a false convert or someone who converted and relapsed into Judaism was treated no differently than any other heretic. If the case was proven, they would be given the chance to repent and be forgiven but, if they persisted, they would be turned over to the secular authorities for execution. The actions taken by King St Louis IX were those of a monarch the Church upheld as a model Christian sovereign and an example for all others to follow. He was easily one of the greatest western monarchs of all time. However, not every monarch was a saint and while the problems caused by Jews for monarchs like St Louis cannot be denied, neither can it be denied that there were monarchs who caused problems for the Jews, not out of any desire for protecting the Christian foundations of his state but simply to enrich himself. This was the case with King Philip IV, better known as King Philip the Fair. He found himself destitute of funds and saw how well the Jews were doing and decided he could get rich quick by expelling them and seizing all their assets, which he did in 1306. However, he quickly found out that much of this “wealth” was loaned out and when his own agents tried to collect on these loans, his royal agents became just as unpopular as the Jews had been and an uproar ensued. His true motives are further revealed by the fact that, after the expulsion of the Jews failed to solve his money problems, he went after the Knights Templar in the same way, accusing them of all sorts of fantastic misdeeds as a justification for suppressing them and seizing their wealth. King Philip the Fair (meaning “handsome”) might more appropriately be known as Philip the unfair. 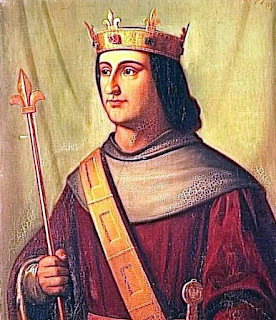 In 1315 King Louis X allowed the Jews to return to France with certain restrictions in place. In their absence, there had been essentially no money lending at all and so the King finally decided to have them back again but with the restriction that the interest they charged could not be excessive, that they had to wear the identification badges, could not discuss religion with French people and so on. He also stated that they were under his special protection and could not be attacked or have their property taken from them. 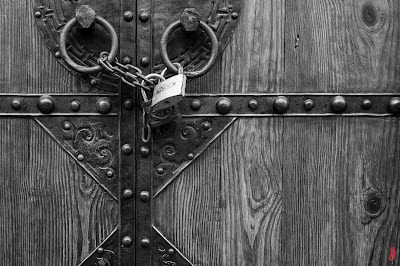 However, the restrictions put in place were fairly quickly flouted and all of the old problems soon resurfaced. 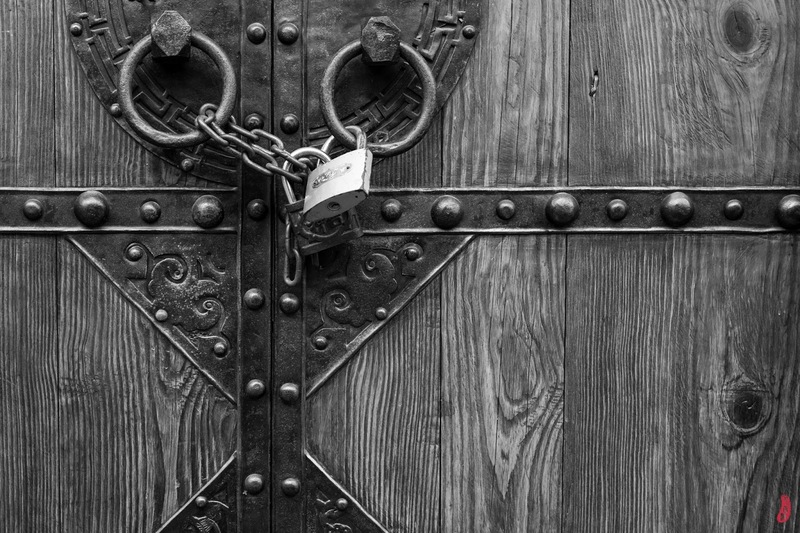 There was the people being shackled in debt, bribery, influence peddling and the civil disturbances that erupted, inevitably, from having society divided in this way. 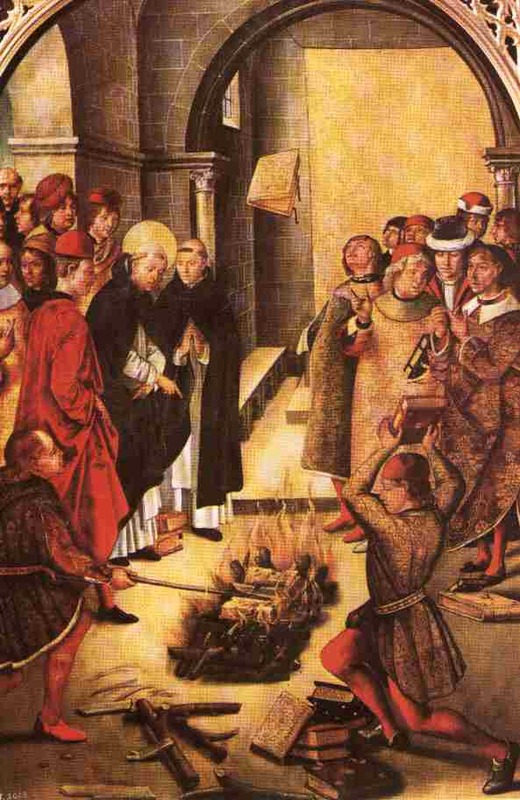 Once again, it was determined that something had to be done and so King Charles VI (perhaps best known for coming to believe he was made of glass) investigated the situation and found the Jews to be guilty of numerous and widespread outrages against their Christian neighbors and so, in 1394, ordered them expelled from France. The Jews were removed from the country and all debts owed to them forgiven. In the following centuries, some did begin to come back to France, keeping as a low a profile as possible, however, by this point, the monarchy was well fed up with the subject and to associate with or give shelter to Jews was made a capital crime. King Louis XIV did tolerate their presence in the newly acquired provinces of Alsace-Lorraine but not elsewhere, just as he famously revoked the Edict of Nantes which had granted toleration to Protestants. The “Sun King” was very firm, despite being fairly consistently opposed by the popes throughout his reign, that France was a Catholic kingdom for French Catholics, end of story. Some still came in, some always managed to remain and as the era of the “Enlightenment” came to France, the Jews began to emerge in greater numbers and to be more vocal, usually in opposition to the existing state of affairs. King Louis XVI took a more tolerant attitude toward them than his predecessors had done, yet this was not enough to prevent the Jews from being ardent supporters of the emerging French Revolution. In 1789 the first call for Jewish emancipation came up, with the full-throated support of the arch-criminal Robespierre, but the issue was postponed. In 1790 some Jews were emancipated and in 1791, to great applause by the revolutionary assembly, Jews were granted full citizenship as with “Muslims and men of all sects”, setting the stage for the free for all France has become now. Many were persecuted during the Reign of Terror but such was the case with many others as the Revolution began to devour its own. On the whole, they remained staunchly supportive of the Revolution and the military efforts to spread the Revolution abroad, raising large sums of money to support the war effort. Later, under Napoleon, Judaism was given recognition by the state along with Catholics and Protestants, though their clerics did not receive government support. As had been the case in England, when King Louis XVIII was restored to the throne, things had come to such a point that these changes were not undone. It was a touchy subject given that, as the Jews had been so supportive of the Revolution, they had naturally attracted the ire of the royalist counter-revolutionaries. This, then, should explain why Jews fall where they do in the context of French politics. The division carried on through episodes such as the Dreyfus Affair and the controversy surrounding the royalists of Charles Maurras. Under the best of circumstances, the Jews never fit in with the concept of a Catholic Kingdom of France and under the worst of circumstances were injurious to it. At the moment of greatest crisis, the most significant turning point in French history, the Revolution, they firmly cast their lot with the republicans and thus could not but incur the opposition of the French royalists. Today there has been some evidence that at least some have come to regret this history but, so far as I can tell, it has resulted in no dramatic political shift on the part of the Jewish community. As such, it should be no surprise, nor any great outrage, that many French royalists still oppose them. In fact, the only thing that is surprising is those who advocate for the restoration of a Catholic Kingdom of France should have no qualms about voicing their opposition to Protestants or Muslims but who often remain silent on the subject of the Jews who would, presumably, be regarded as just as unacceptable. I leave it to the readers to ponder why that may be. Even among monarchists, as well as polite society as a whole, there are two figures for whom I have more positive things to say than is generally considered acceptable; Benito Mussolini and Napoleon Bonaparte. Today, obviously, the topic of discussion is Napoleon. Given that he was the great bogey man of post-revolutionary Europe, I must make some disclaimers at the outset before any readers have to reach for the smelling salts. I fully agree that Napoleon was a usurper, if not technically so in the first instance of his seizure of power, certainly so after his escape from the island of Elba. I fully agree that he upset the peace of Europe and caused many and far-reaching problems for the “Old Order” that existed in the western world. I would say it is at least debatable whether he or the French Revolution itself was responsible for destroying the last vestiges of Christendom but he certainly swept up the pieces and tried to put it all back together according to his own designs and taking little to no consideration for legitimacy and hereditary, vested rights. I hope we are all clear on all of that. All of those facts not being in dispute, I think it can also be regarded as beyond dispute that he was an extremely talented man. Certainly, in terms of his role as a military commander, he was a genius on such a level as has rarely been seen in the history of the world. One could argue over his talents as a statesman but he was certainly not inept in that regard. He did, I maintain, also do some good things, if not for Europe, at least for France. 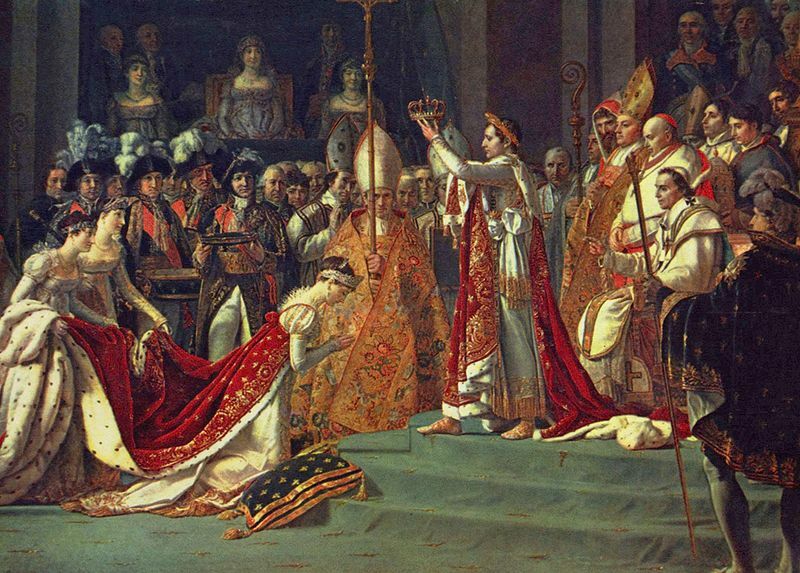 It was Napoleon who ended the horror that was the French Revolution, he did restore law, order and a functioning society to the country and it was Napoleon who finally restored Church-state relations in France with his concordat of 1801 with Pope Pius VII. It did not put everything back to the way it had been before the Revolution, but it did bring normalcy to Church-state relations, did away with the worst excesses of the revolutionaries and restored the Church to an official, recognized status in France. These were, to my mind, all very good things. 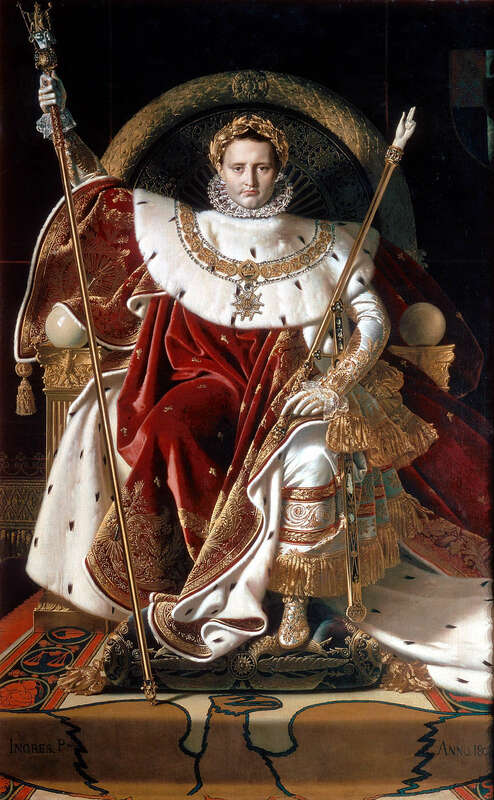 Napoleon, the former revolutionary, also became, with power, increasingly conservative and the new order he envisioned for Europe was not that of the First French Republic. Whereas the revolutionary armies had marched into neighboring lands erecting republics and planting those absurd “liberty” trees, Napoleon turned these into client-monarchies with monarchs chosen from among his top generals or, more often, the ranks of his own family. The sort of European system Napoleon endeavored to create, while not ideal, is not, at least to my mind, devoid of some promise. The ideal, for most traditional monarchists, would probably be the Europe of Christendom. Unfortunately, that high-minded ideal had never really been capable of producing the unity and concerted action that it might have done. This only seemed to come close to fruition during the Crusades and, even then, was certainly not devoid of division and trouble. The European order that Napoleon planned can be seen in how he tried to make the unity of Europe a largely family affair. Napoleon was the second son of Carlo Maria di Buonaparte and Maria Letizia Ramolino of Corsica. The family had its roots in the nobility of Tuscany and carried on the traditional importance attached to the family common in that part of the world. Napoleon’s siblings were; Giuseppe, Luciano, Maria Anna Elisa (Elisa), Luigi, Maria Paula (Pauline), Maria Annunziata Carolina (Caroline) and Girolamo. Those were the names they were born with, like Napoleon, they would adopt the French versions of their names and later other versions based on what countries they were ‘farmed out’ to. 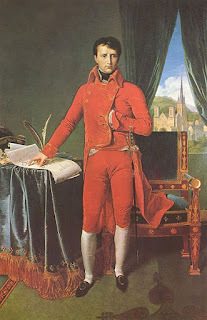 The idea of Napoleon seemed to be to have a core of support in and around the French Empire based on blood ties with other allied countries brought into line by either being given a ruler of Napoleon’s choice or to be bound to the Bonaparte clan by marriage with those untouched being too few or too weak to oppose the rest. 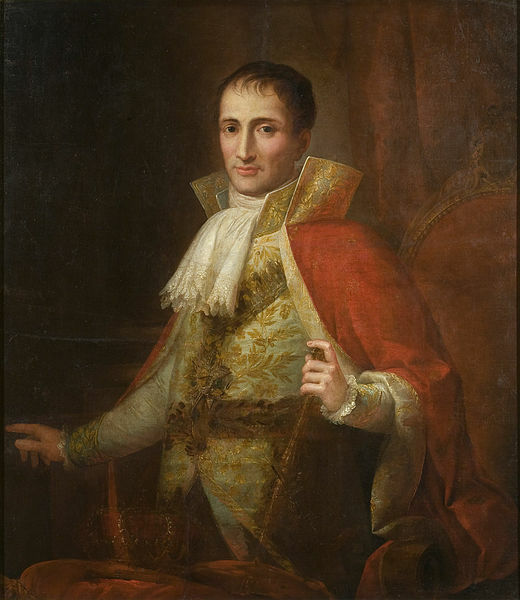 Giuseppe Buonaparte (later Joseph Bonaparte) was first made King of Naples and Sicily (though he did not actually control Sicily), which country he liked and where he was fairly popular. 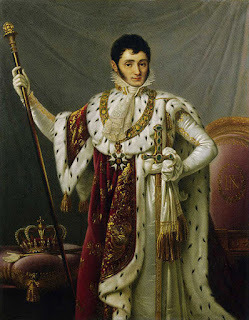 After only about two years, and much to his regret, Napoleon relieved him of the Neapolitan crown and transferred him to Spain where he ruled as King Jose I, though he was never accepted by the Spanish as a whole and never managed to be master of the entire country. To take his place in Naples, Napoleon made Marshal Joachim Murat the king instead. Aside from being a Marshal of France and one of Napoleon’s top subordinates, Murat was also married to Napoleon’s sister Caroline Bonaparte. Aside from Naples and the French Empire, the rest of the Italian peninsula consisted of the Kingdom of Italy which crown Napoleon held himself and second only in precedence to that of Imperial France. However, to act on his behalf in the Kingdom of Italy, operating out of Milan, Napoleon appointed his step-son Eugene de Beauharnais viceroy. Luciano or, later, Lucien Bonaparte, was the most difficult brother by virtue of being the most revolutionary of the bunch. 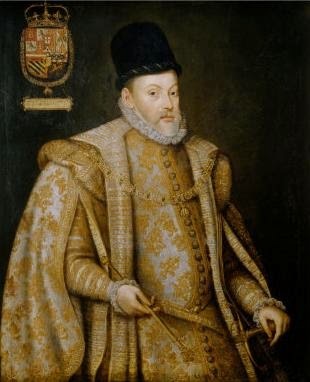 Although given important government posts, he opposed his brother making himself Emperor of the French and refused any title or monarchical status. Napoleon’s sister Elisa Bonaparte was, after some other duties and political maneuverings, made Grand Duchess of Tuscany. The idea was to have at least France, Italy and Spain all under Bonaparte monarchs with others in countries close at hand. Brother Luigi Buonaparte (later Louis Bonaparte) was chosen in 1806 to be the monarch of the conquered Netherlands as King Lodewijk I of Holland. This replaced the Batavian Republic which the French revolutionaries had originally concocted and, to the surprise of some, Louis became a fairly popular monarch. In fact, Louis took his duties as King of Holland so seriously that he ultimately became more popular with the Dutch than with his own brother. When Dutch and French interests conflicted, Louis took the side of the Dutch whereas Napoleon expected him to bow to France. This, as one can imagine, was a state of affairs that could not endure and in 1810 Napoleon removed his brother from the throne and simply annexed Holland to the French Empire. Louis would ultimately spend most of the rest of his life in exile in the Austrian Empire but, in a way, he would have the last laugh over his ambitious brother as it was his family line which would carry on the name of Napoleon into the future with his third son ultimately becoming Emperor Napoleon III of the Second French Empire. Maria Paola Buonaparte, better known as Pauline, had a very colorful life to say the least of it. 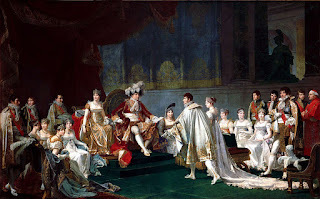 In 1797, in Milan which had just been occupied by his French troops, Napoleon married Pauline to General Charles Leclerc who was later put in command of the expedition to restore French rule over Saint-Dominque (Haiti) which had been in rebellion since 1791. Despite frequent bouts with yellow fever, Pauline engaged in numerous affairs but refused all efforts by her husband to send her home. She much preferred being the mistress of Saint-Dominque than being a subordinate in Paris, famously saying that, “Here, I reign like Josephine”. 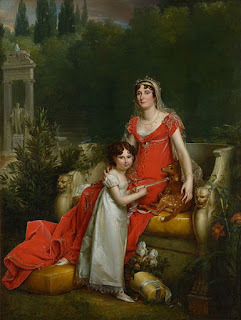 In 1802 her husband died of fever and Pauline had to return to Europe and, with the papal envoy playing match-maker, was married to Prince Camillo Borghese of Sulmona. Napoleon later made her sovereign Princess and Duchess of Guastalla but she sold it for six million francs to the Duchy of Parma. After Napoleon’s downfall, she lived in a villa in Rome as the guest of Pope Pius VII. Caroline Bonaparte, as mentioned previously, was Queen of Naples after the appointment of her husband, Marshal Joachim Murat, and frequently held power there herself as regent during his absences. The youngest boy of the family, Girolamo Buonaparte, better known as Jerome, was also somewhat problematic. After service in the navy, Jerome ran off to the United States and married an American girl in 1803, much to the outrage of his brother. Napoleon annulled the marriage when the Pope would not and eventually had the couple divorced. From 1807 to 1813 Jerome served as monarch of the Kingdom of Westphalia, a new German state Napoleon had put together which essentially served as a buffer between the French Empire and the Kingdom of Prussia (or what was left of it anyway). In an effort to remake the country, revolutionary policies were implemented. Serfdom was abolished and a market economy was established, the guilds were out and the Jews were in. The country was soon depleted and officially bankrupt by 1812, hardly a ringing success by any measure. On the continent, all of this meant that, for a longer period than most realize, Napoleon had a family network that brought about a sort of European unity. Brother Joseph was in Spain, brother Louis in Holland, step-son Eugene in northern Italy, sister Caroline and Marshal Murat in Naples, brother Jerome in Westphalia and Napoleon himself entered into a marriage alliance with the Austrian Empire by marrying Archduchess Marie Louise, daughter of Kaiser Franz II. Prussia was reduced and surrounded by Westphalia to the west, the French-allied kingdom of Bavaria to the south, the French-established Duchy of Warsaw to the east, ruled by Napoleon’s ally King Frederick Augustus I of Saxony, while to the north was the French-allied Kingdom of Denmark and Sweden where a Marshal of France was the new king. From 1807 to 1810 Czar Alexander I of Russia was an ally so that, for a time, the whole of Europe was more firmly united than it has probably ever been with the only major power holding aloof being Great Britain. Every continental power was either ruled by Napoleon himself, by one of his family, one of his allies or was so isolated as to be unable to do anything but go along other than the Ottoman Empire of Turkey which had a Serbian rebellion to deal with and which proved incapable of defeating the uprising by the fundamentalist Wahabi sect, making them no threat to the new Napoleonic order. Needless to say, with their origins being in the French Revolution, bad ideas spread throughout Europe with the French legions. However, there is nonetheless something to be said for it. By sheer brute force, Napoleon had done what no one else had done before; united the continent of Europe. He did end the Revolution, which was an obvious good, and was certainly preferable to the First Republic which had gone before him. I doubt any would call him pious, indeed, he seemed rather cynical about religion, but it was he who restored Church-state relations in France, had his coronation presided over by the Pope and, although it sounds odd given his character, it is nonetheless technically true that under Napoleon, the whole of European Christendom was united behind a Catholic emperor. Of course, he did it after making war on the Pope and basically taking him prisoner and, if you wanted to be really controversial, you might point out that this was pretty much how the coronation of Emperor Charles V came about but you really should not as that would be quite unfair to compare the two. Ultimately, this episode of enforced European unity did not last, and perhaps could not have done so given the very ideas of the French Revolution that it enabled to spread. However, whether one takes it as good or bad, it was certainly remarkable and quite unprecedented. Had Napoleon not overreached, had this new order endured, can we imagine how history might have evolved? It is hard to imagine someone with such restless ambition as Napoleon retiring to a quiet life and with all of Europe, with the possible exception of Great Britain, pulling in the same direction, that seemingly impossible things might have been accomplished. It would be easy to picture Napoleon resuming his conquests with the a massive pan-European army that would liberate the Balkans, Constantinople and the Holy Land, which might then press on into Persia and India. Who knows how far they might have gone? In closing, just to reassure all of my good, traditional, monarchist readers, yes, Napoleon was a usurper, yes, he upset the peace of Europe and yes he spread some pretty terrible ideas wherever he went. What is, I think, nonetheless important to point out was his drive and his audacity. Look at what he accomplished, think what more might have been accomplished and all because someone had the nerve to try. One, little, Corsican upstart did all of this and only because the impossible did not exist for him; he just did it. Great and seemingly impossible things can, actually, be accomplished but only by those who try. Napoleon dreamed of a Gallic-Roman empire with himself as the new Charlemagne, uniting Europe with his own family to lead in one common direction. For a time, and longer than I suspect most people realize, he did exactly that and in so doing, left behind a wealth of lessons on what to do, what not to do, and what can be possible. It is, I think, a subject worth pondering. Is America at Fault for the State of Mexico?